We planted zuchinni again this year . . . what were we thinking?? 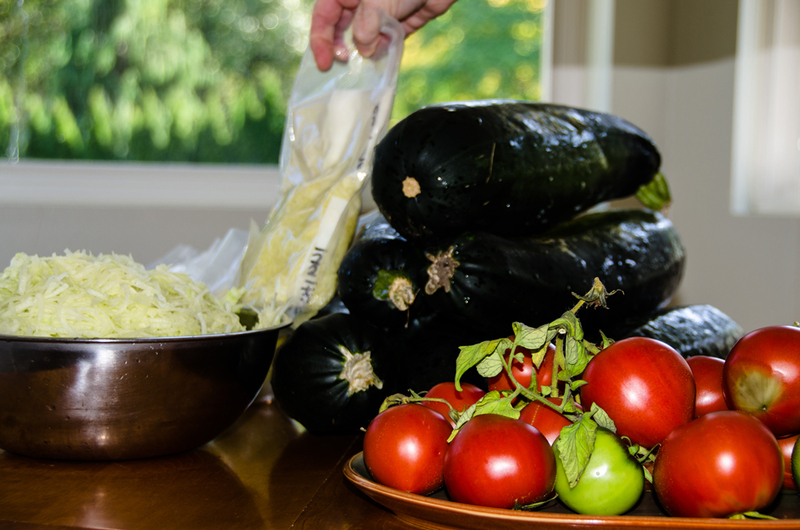 I grated up and packaged 12 freezer bags (4 cups each) out of 3 large Zuchinni’s. These guys are what’s left to deal with. I’m going to do up several batches of zuchinni bread/muffins that will be enjoyed throughout the winter. The grated Zuchinni will go in to soups, stews, spaghetti sauce etc . . . adding a yummy and healthy twist to my recipes. So I guess that’s what we were thinking!